You're livin' that wife life! 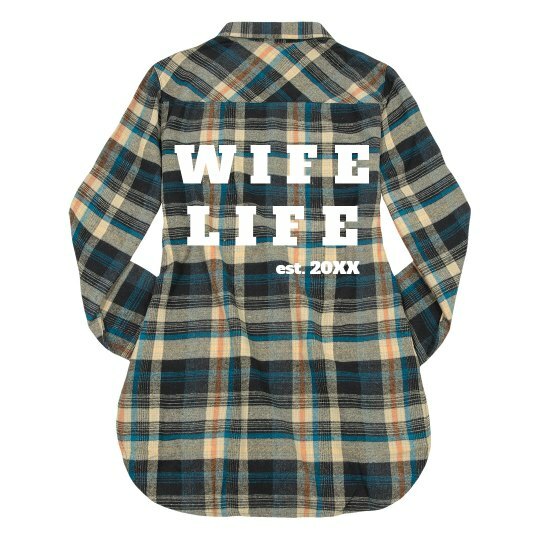 Let everyone know you just got married with a cute custom plaid fashion flannel. Add your wedding date to the back to make it extra special.